These apartments are perfect to stay in while enjoying a holiday with your pet. It's located in the heart of Playa de Palma and you are welcome to bring your pet during the winter months: October to April (both included). The hotel is open all year round and petitions for the summer can be made but cannot be guaranteed to be accepted. There is no extra fee for pets but must inform when booking. 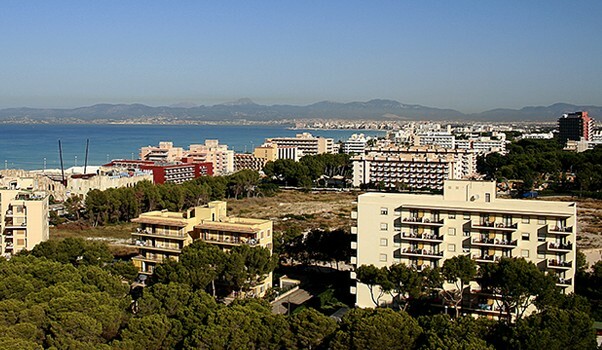 The Apartments Tres Torres is situated east of Palma and only 5 km from the airport and 100 meter to the closest bus stop and you will also find a supermarket on the same distance and the beach a short 200 meter away. There are 39 spacious, 45 square meters, apartments, including a double bedroom, kitchen, bathroom, lounge and terrace, and all overlooking the pool and garden. They have a coffee machine, TV, free wifi and central heating. 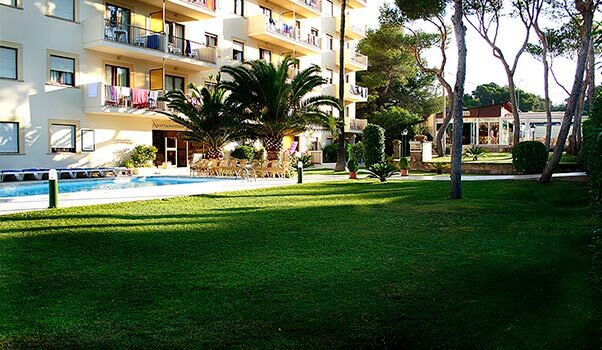 The place is surrounded by a beautiful garden and a nice sizable pool and has the charm, tranquillity and comfort, to make it in to a perfect holiday in Mallorca. 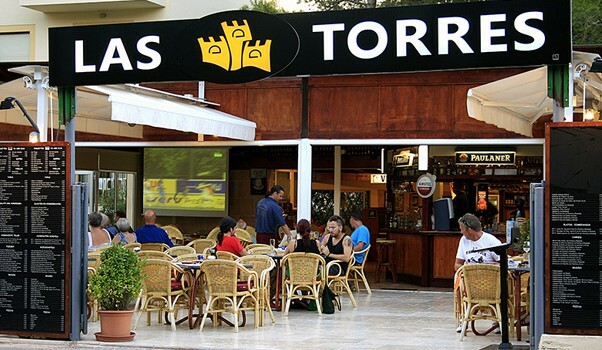 There is a snack bar located beside the garden and it is equipped with a large screen satellite TV, where major sporting events can be seen. It’s open from 9 am until closing; offering great breakfast, lunch and tasteful cocktails and much more. Room service is available to bring you food directly to your apartment. 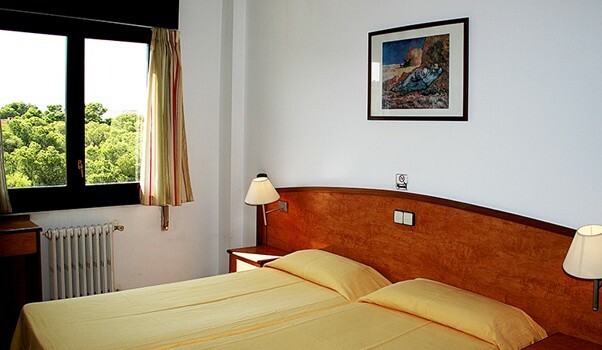 The Apartments are located very close to the tourist centre of Playa de Palma, e.g. the famous “Megapark” and other leisure activities like mini-golf and you can also visit the wellknown Palma Aquarium. You are also not far from the coastal area, Es Carnatge, where dogs are allowed to access the sea all year round. Booking on line, through our website, will get you the best price and terms (welcome pack, minimum initial deposit) and the possibility to book a transfer. 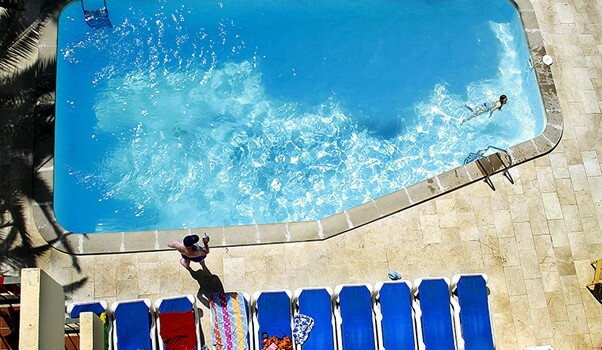 Welcome to enjoy a memorable holiday in Mallorca!